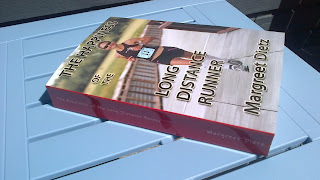 Tim created this blog for me more than five years ago, He also wrote the first post on April 15, 2007 about the personal best of 3:08:48 I had just run in the Canberra marathon, improving on the 3:13:01 in the 2006 Gold Coast marathon. When he wrote that post, neither one of us realized then I had also won my age group -- a first at the marathon distance. 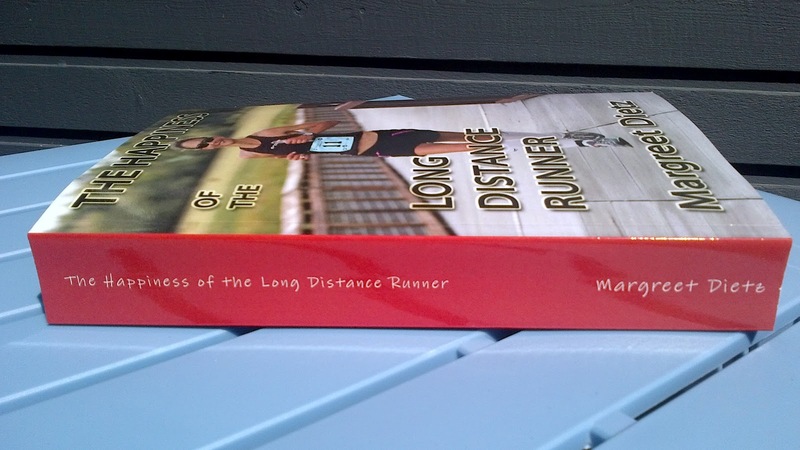 The title I initially used for this blog was The Happiness of the Long Distance Runner; while the title has changed several times since, the first one by and large still captures this blog's essence. I was hesitant at first, writing only the odd post. There was one in May 2007, followed by another in July, and the next came in August. Then there was a gap until January 2008 -- by then Tim and I had swapped Sydney, Australia -- our home of seven years -- for Canada's West Coast. 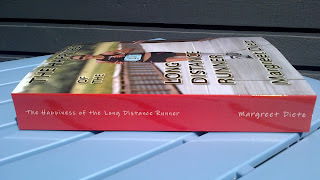 The number of posts have steadily increased since and keeping this blog has also helped me keep tabs on my running, writing and, in a way, life in general. It helps motivate me to start and finish a thought, or at least explore it, in writing in a way that I am comfortable publishing. It's been especially helpful in the times I feel the work on the next book is lacking in progress. Last month, partly motivated by finding a way to safeguard all the writing I have done for it in the past five years and partly because of wanting a physical copy as a personal record, I looked for, and found, a way to download the entire blog's text with Blog2Print.com into a PDF-file. It only costs $7.95, well worth it to me. Next I turned the PDF into a text file, getting rid of all the images, and discovered I had written more than 200,000 words. 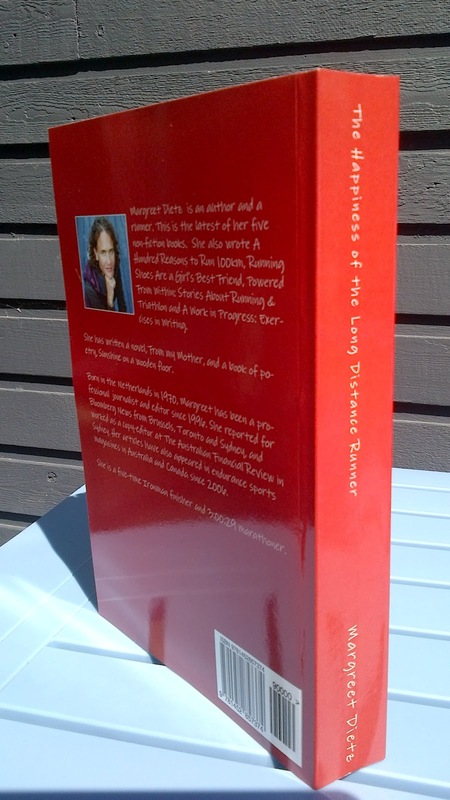 I spent a couple of weeks quick-editing the file for errors and layout so I could turn into a paperback, a printed record of everything I have written on this blog between April 2007 and May 2012. It's turned into a tome of 496 pages. I designed a simple cover for which I chose to use an image taken at about 15K into the 2011 Bellingham Bay Marathon as it's relaxed and happy. Today I received the proof copy of this paperback. My only plans with it for now are to clean the interior file up further with another edit and to improve the layout for my own personal record, that of The Happiness of one Long Distance Runner.